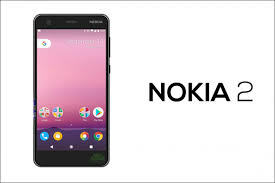 HMD have launched other hot phone, NOKIA 2. This phone is Android like with a high speed processor. Nokia 2 battery can last for 2 good days before it off. The phone is embedded with many new features like 5-inch HD display with Corning Gorilla Glass 3 protection and packs a 4100mAh battery that promises up to two days of battery existence on a single charge. The Android version is 7.1.1 with assistance from Google asist. The version of the can been updated. 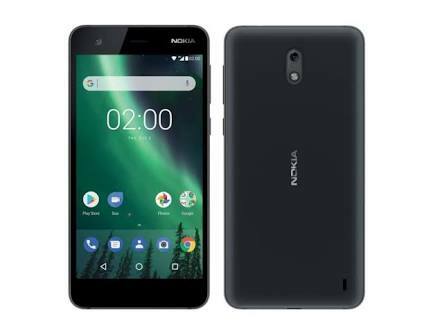 Nokia 2 has 1 GB RAM and 8GB inner storage, this phone is powered by 212 Snapdragon, with Adreno 304 GPU. This phone has 5-inch HD screen this makes and helps to increase the phone spelling. It has a quality and high plan display. 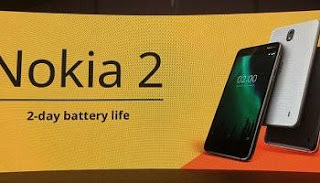 NOKIA 2 has a high battery capacity, it about 4100 mAh Battery. HND Global has released a new guarantee of days and there is a promise to return afer 2 days. This device has 7.1.1 Android Nougat, the phone interface is quite close to that of pure Android. Great post! I was enlightened.